Let's quilt together starting in January and make the Lady of Shalott quilt. The kits are dyed-to-order and will ship by December 18. Gift idea? 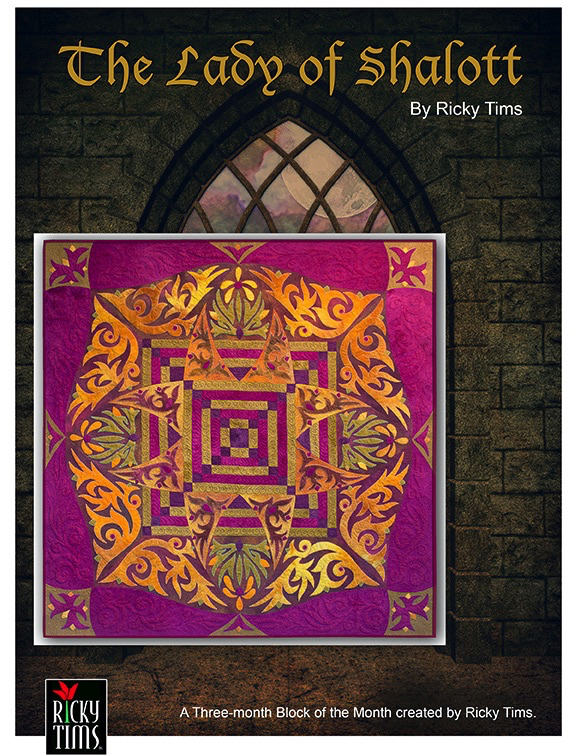 The kit includes the pattern and free video tutorials. Select your best option and get ready for 2018! 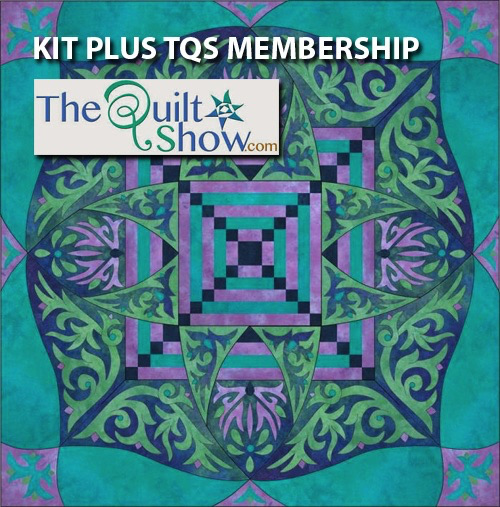 Your TQS Membership coupon will ship with the kit. In the Fall of 1991 quilting was my new-found obsession. I was devouring everything I could possibly learn about it. Crazy patchwork was one of those things I had read about and tried. 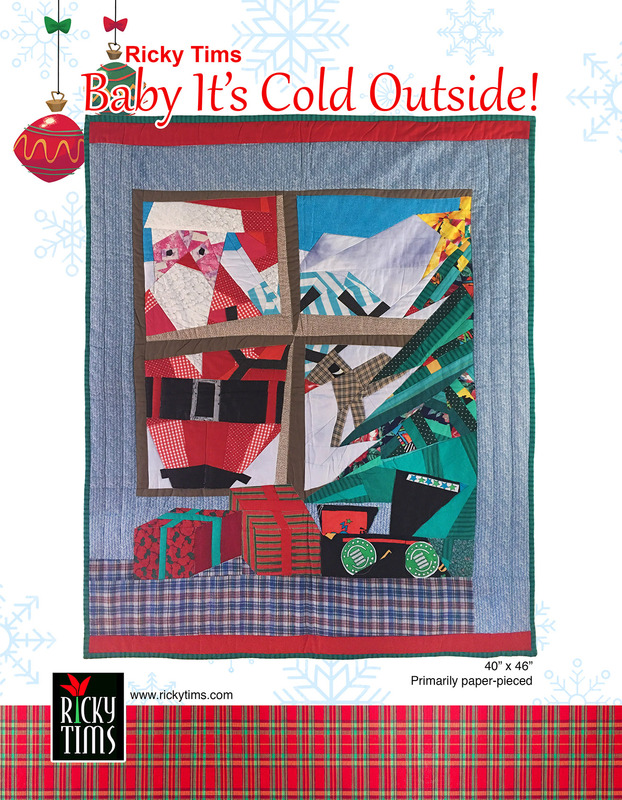 I had the idea to create a whimsical quilt where a cold and perplexed Santa was stuck outside looking in. The original quilt was improvised using nothing more than a sketch I drew as a guide. Over the years, I felt a pattern might be too complex. However, I came to realize that with some very small alterations to the original I could offer a manageable and do-able paper-pieced pattern. Here it is! Released just in time to finish before the holidays. 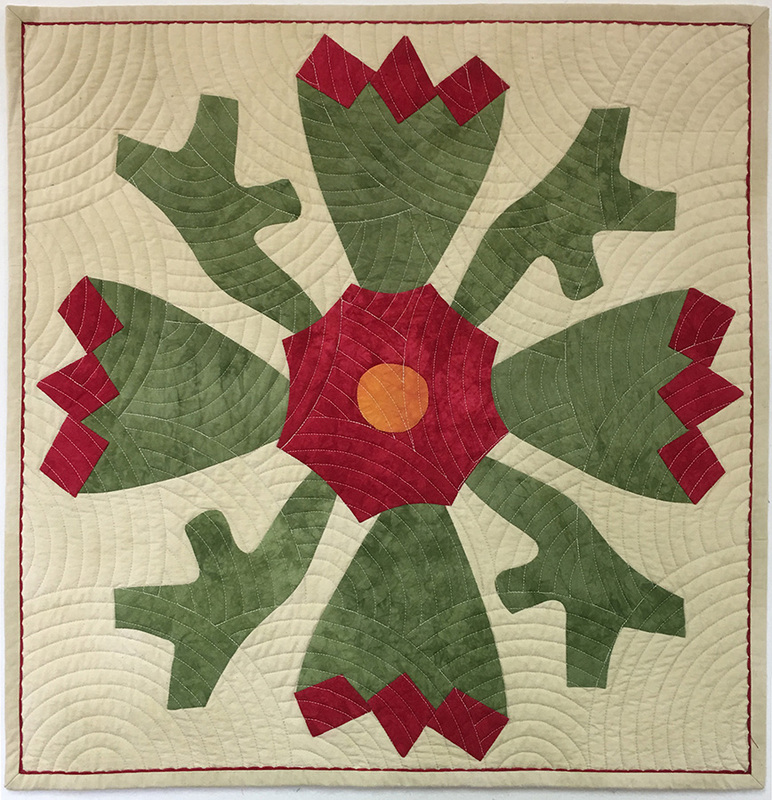 This wall quilt has only seven paper-pieced sections and measures 40” x 46”. 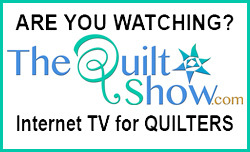 Statement: Created for a Broadway Musical Challenge for an episode of The Quilt Show. I chose Hamilton. Alexander Hamilton was essentially launched toward his destiny by writing about a devastating hurricane that destroyed the isle of St. Croix when he was only 15 years old. In the musical, Hamilton sings, “In the eye of the hurricane there is quiet for just a moment - a yellow sky. Statement: A capriccio (also Caprice) is a piece of music, usually fairly free in form and of a lively character. This free form composition seemed to follow that theme with movement and repetition. Statement: The piecing was created entirely improvisationally without the use of templates. 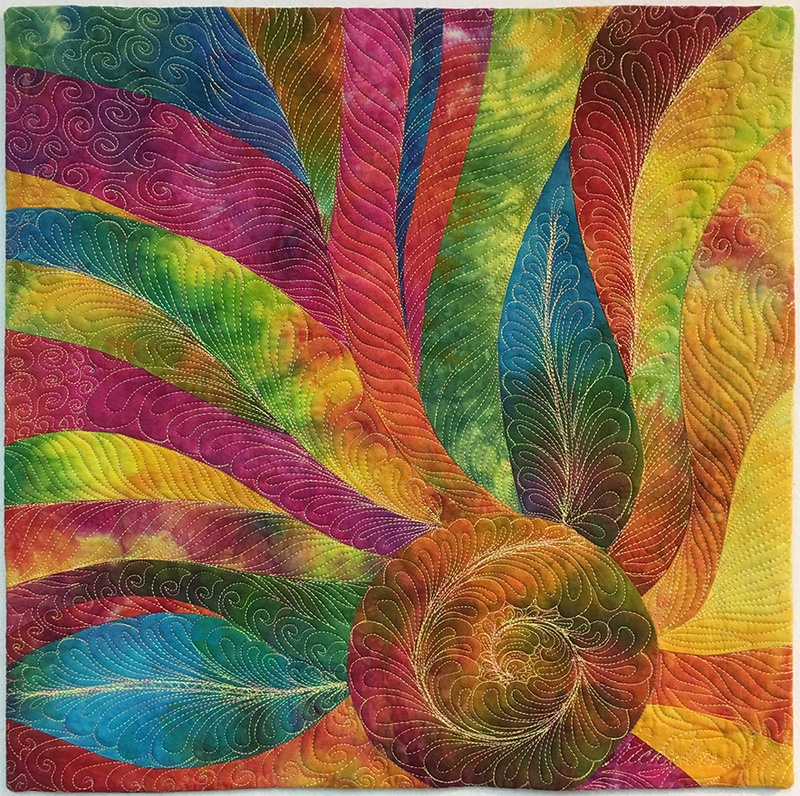 The design was created using only one piece of multi-color hand-dyed fabric. My mom was born in 1917. She told me that her grandmother gave her the quilt when she was a girl, and that it wasn’t in good condition then. She didn’t know if her grandmother or great grandmother had made it. 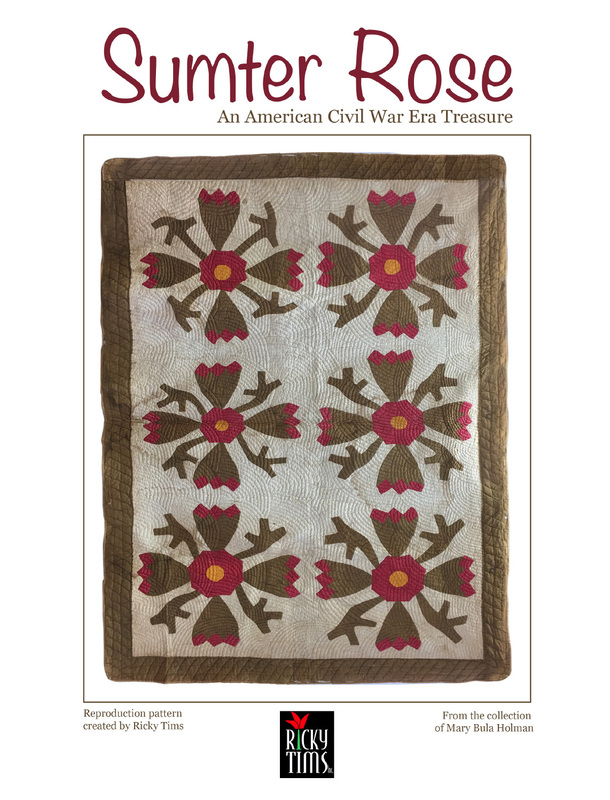 By researching family records and the probable date the quilt was made, it has been concluded that the quilt was most likely made by Mariah Harrel Measells (1833-1926). A kit with beautiful, suede-like and antique-textured hand-dyed fabric is available in the Ricky Tims Online Store. 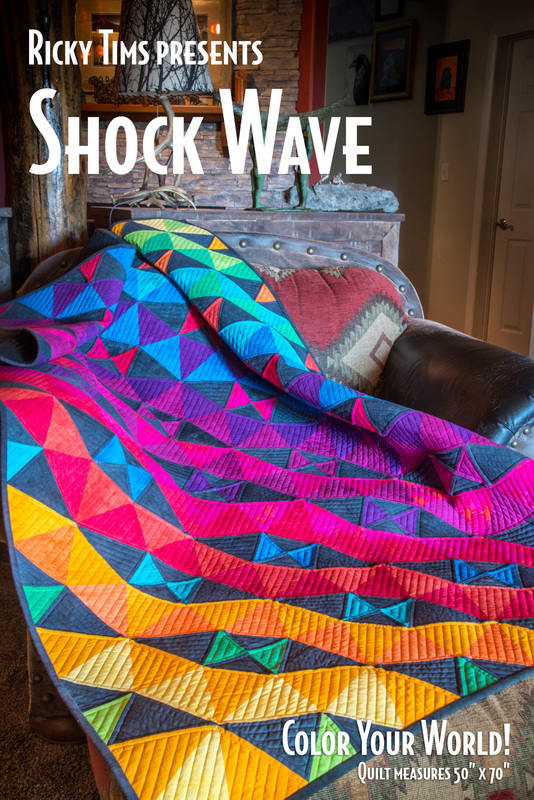 The Shock Wave Quilt and Kit! 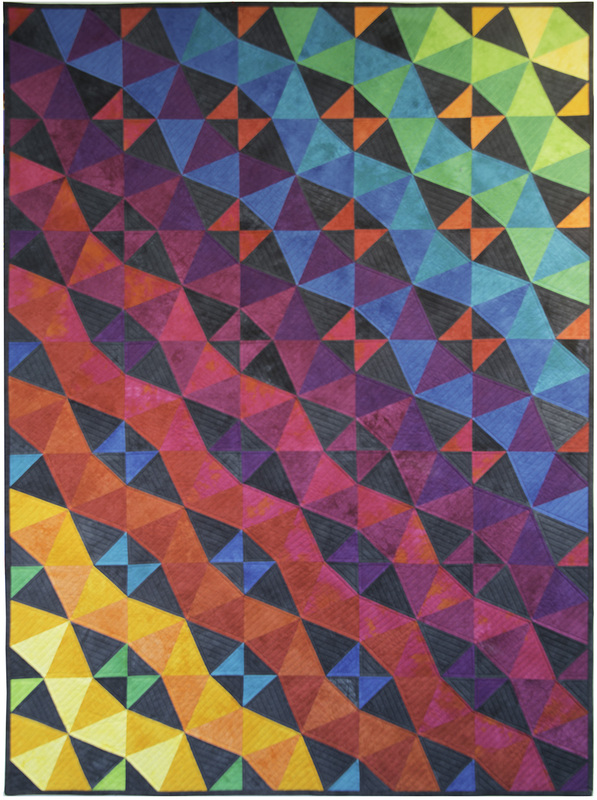 Shock Wave is an eye-catching and colorful quilt. 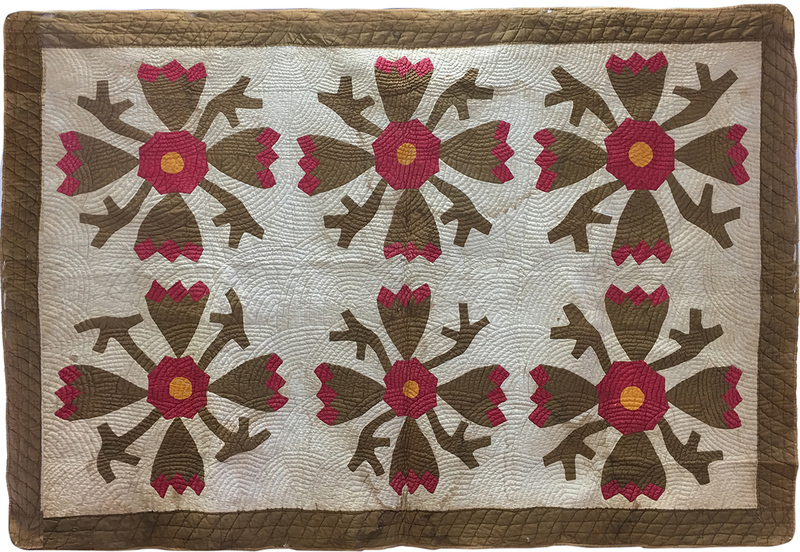 It is a large-scale replica of a miniature quilt that I made over two decades ago. It features intense, colorful, hand-dyed fabrics with suede-like textures. 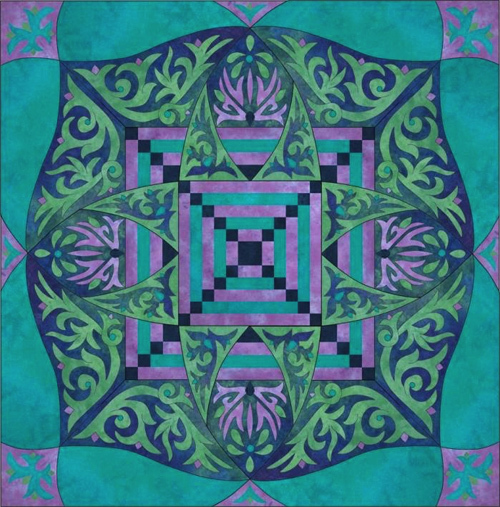 The colors are intertwined to create a modern take on the timeless and traditional “Kaleidoscope” quilt block. My Hand-Dyed Fabric Kits are made on demand. 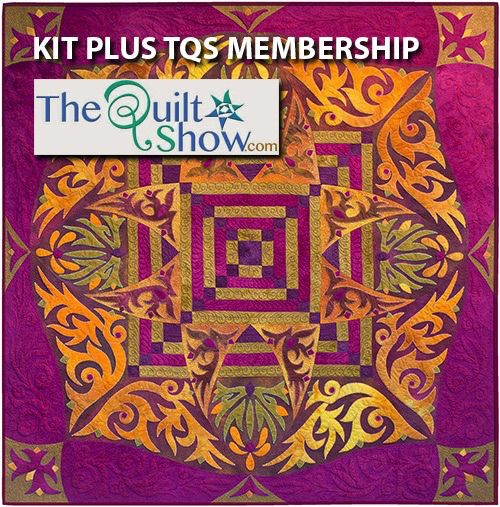 Pre-orders for the kit to make this stunning quilt are now underway. Pre-orders will ship on April 24, 2017. 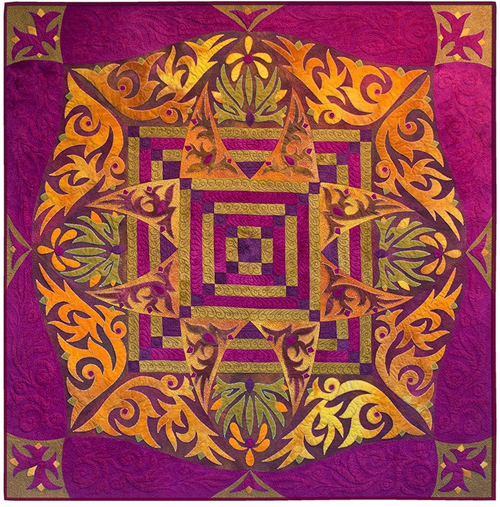 The quilt shown here is made with the hand-dyed kit fabrics. Quilt measures 50” x 70"
Seven yards of hand-dyed fabric to make quilt top and binding. Kit includes pattern and instructions. Order your Shock Wave kit this weekend and use the coupon code to receive an additional 20% off of the regular kit price. 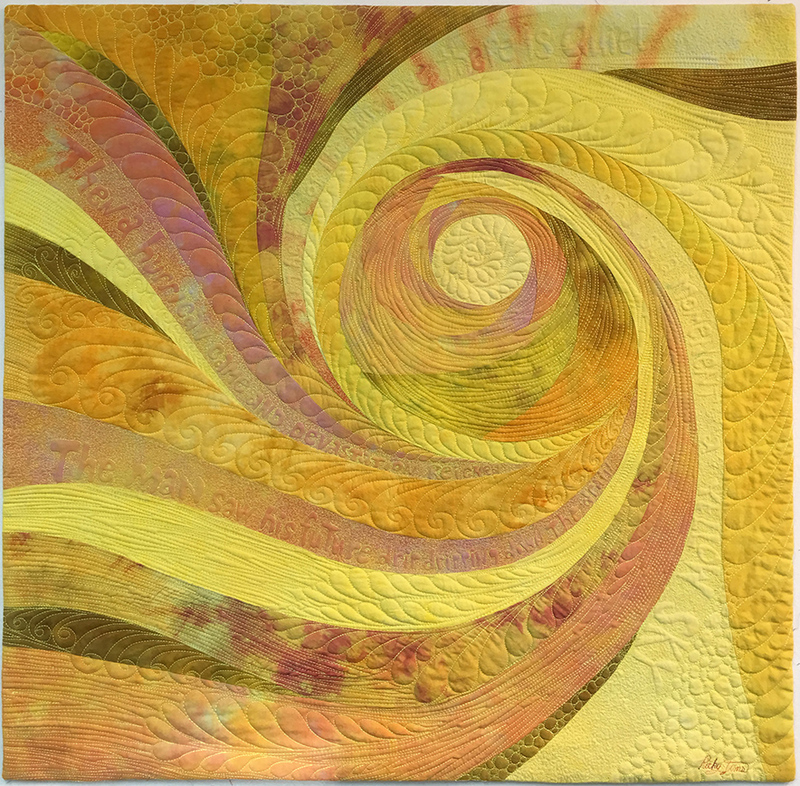 Pieced by Cyndi McChesney and quilted by Frank Palmer. 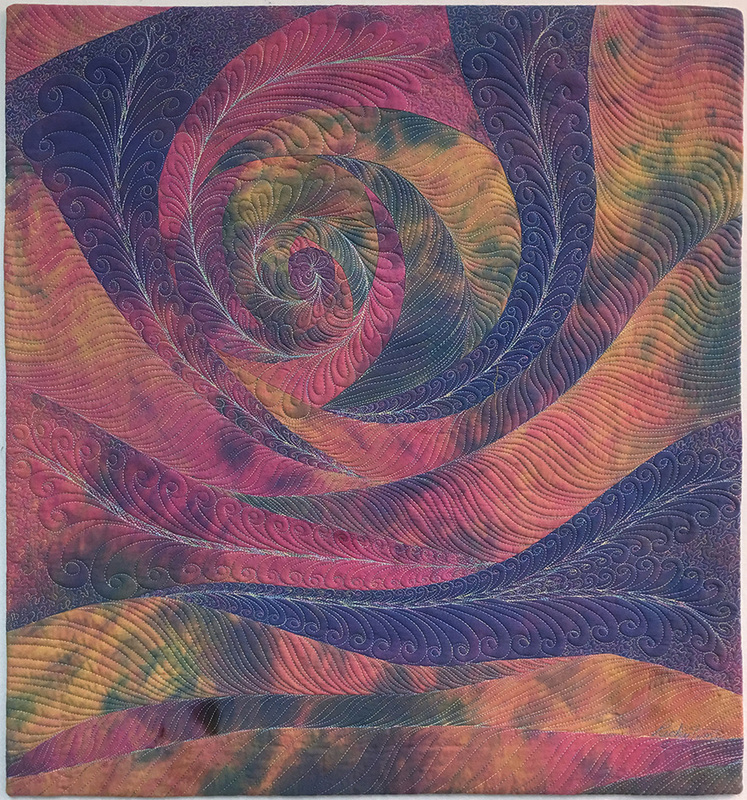 Shown here made with hand-dyed kit fabrics. 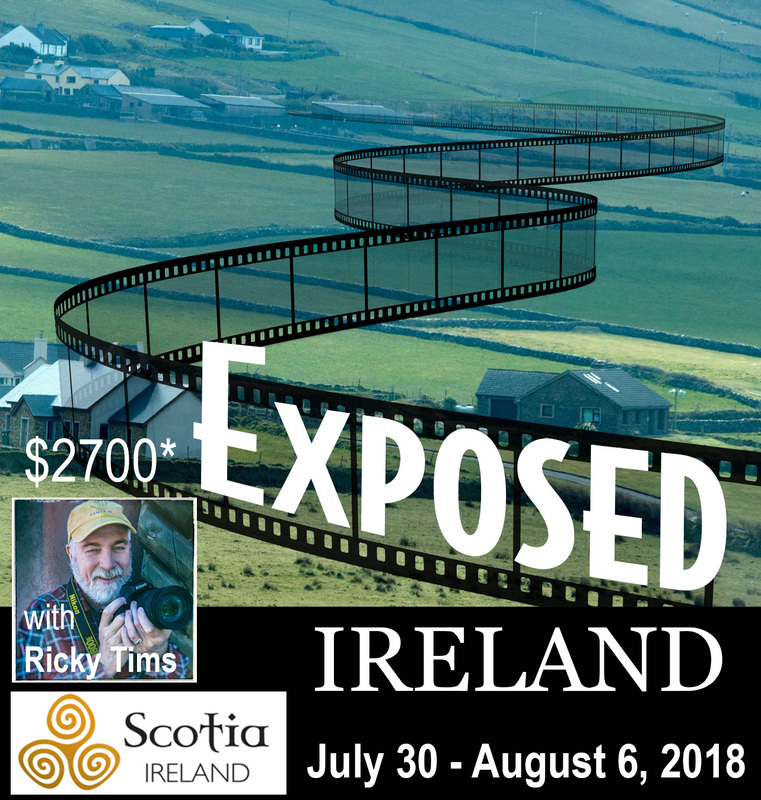 Let's Go to Ireland in 2018! 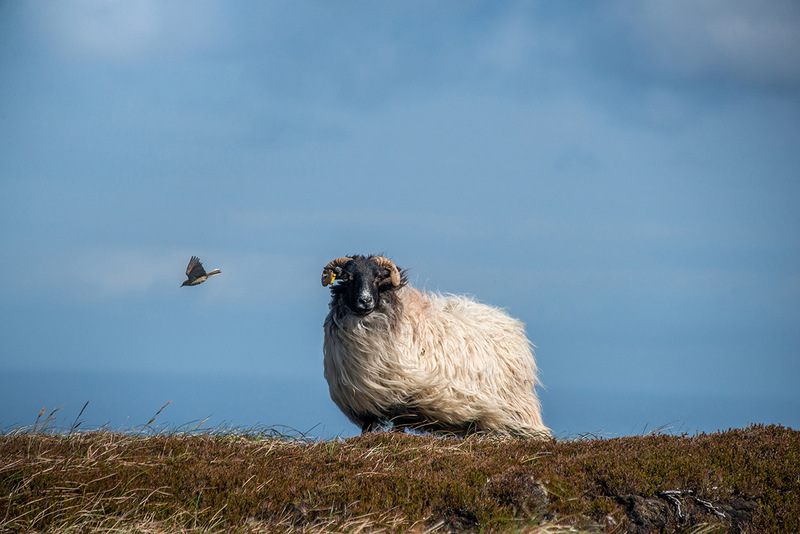 The photography and sightseeing tour will be geared to capturing the beauty of Ireland in photographs. However, anyone is welcome to join the tour. Anyone from novice to expert photographers are welcome. 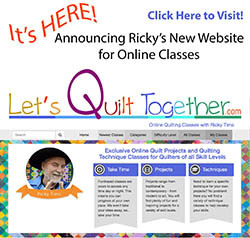 Because I am so closely connected with quilters we plan to make a stop at a wonderful quilt shop near Dingle. I am seeking 30 individuals for the tour. An international group would be fabulous. We will rendezvous in Dublin. I’m not looking for a commitment at this time. I'm compiling a list of those who are seriously interested in the tour to determine the viability of moving forward. If your interest is "very strong and likely", please reply via the link at left and let me know. If you would be touring with a spouse, friend, or group of friends, let me know that too. If the interest is sufficient, I will pursue finalizing the tour with Con. 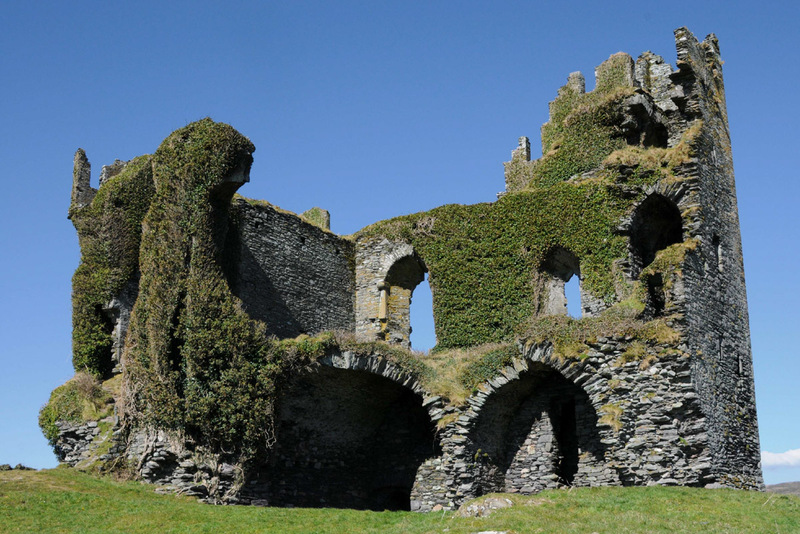 I have been to Ireland seven times. I love it. It is magical, affordable, and unforgettable. 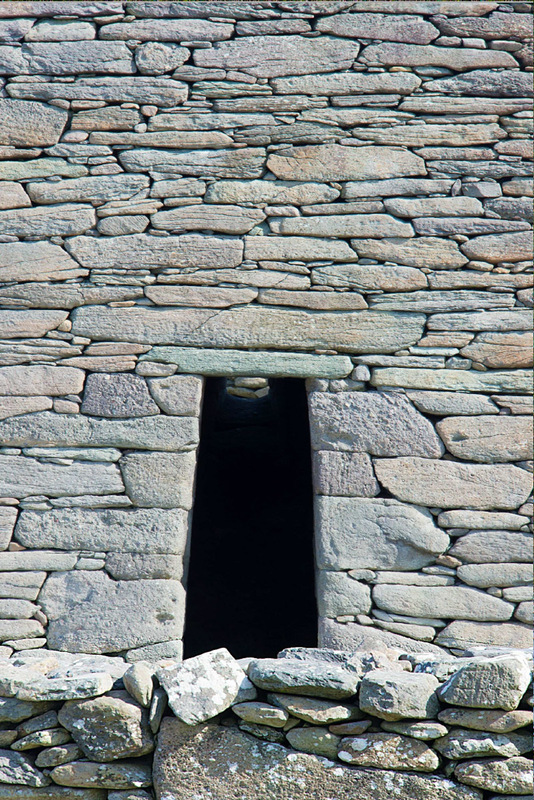 *Based on current rates, double occupancy. $350 single supplement for those wanting private accommodation. *Tour price does not include airfares. Each traveler may choose to arrive early or stay late and tour on their own. 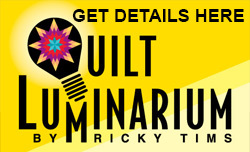 Note to quilters: The Festival of Quilts in Birmingham, England begins on Thursday, August 9th. *Rate is based on current exchange rates and current projected costs. Subject to change. The above is subject to the Scotia Ireland Tours Ltd Terms and Conditions. Black Friday - 32% Savings!